Thrillist Atlantic City is just out of the gates, ready to deliver on its promise to shed so much light on the prime summertime destination that readers may start thinking the Earth now has two suns -- and the second one is really, really close. Check out this selection of AC’s latest and greatest, then look below to enter our sweepstakes and literally get a taste of the action. Monster Openings At the 1800-room ocean-view resort Revel you can climb (or better yet, take the elevator) to the 114ft-above-sea-level rooftop, where you can stroll among 20,0000 plants, pop lobster rolls in a poolside cabana, or hit the spa to relieve the stress of all that lobster roll-popping. Huge Chefs Coming to Town Come see Robert Wiedmaier flex his mussels, Jose Garces take Spanish gastronomy to the avant-garde, Iron Chef Marc Forgione reinvent the American steakhouse, and rising star Alain Allegretti transform Riviera classics (Brigitte Bardot excluded, though that would make for quite the dessert). Live Shows to Live For Jimmy Buffett’s hitting Boardwalk Hall this August, and he’s not alone. Everybody from Phish, to the Black Keys, to Aziz Ansari will descend upon AC's top-flight performance spaces for extended jams, blues rocking, and just generally having an awesome time. Blowout Events, and Blowup Events The Atlantic City Food and Wine Festival will satiate and quench hordes of foodies, July 4th fireworks are guaranteed to be…explosive, and the Thunder Over the Boardwalk Airshow will blow the mind of even the biggest Maverick. 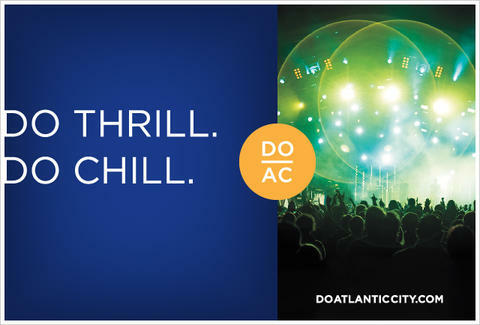 Sign up for Thrillist Atlantic City, and you'll be automatically entered to score the Ultimate Atlantic City Getaway: a $750 gift certificate to the Borgata Hotel Casino & Spa, plus $250 to spend at Marc Forgione’s American Cut steakhouse. Win, and no matter how many suns there are, they'll always be shining on you.